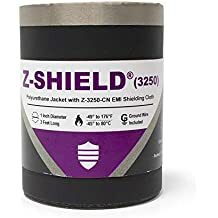 Zip Shield Shx4 - Zip Shield - Trade Names - ZT | Zippertubing Co. The Zip-Shield® family of products have been field tested for many years and offer many different solutions specific to your needs. They provide excellent EMI/RFI shielding results as an all-in-one cable protection and bundling solution. These products feature an exterior protective jacket that is heat sealed to a re-enterable, pressure-track closure system utilizing either our Z-Track™, D-Track-LT, EZ-Track®, or R-Track™. 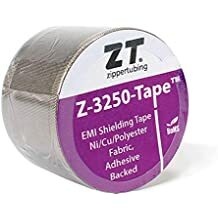 Zip-Shield® is available in a variety of diameters, colors, jacketing materials, and shielding options and, depending on your choice may also include a sewn-in ground wire.